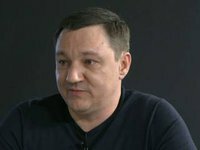 The coordinator of the Kyiv-based Information Resistance group, Dmytro Tymchuk, claims that a convoy of vehicles carrying Ukrainian Airborne Troops soldiers got trapped in an ambush set up by militants near the town of Shakhtarsk, eastern Ukraine. "Reports concerning casualties and injuries are being verified," Tymchuk said on his Facebook page on Friday morning. According to Tymchuk, who is also referred to as the spokesman for the army operation in eastern Ukraine, the Armed Forces' positions located at the Luhansk airport, as well as near the localities of Berezove and Marynivka were attacked from Grad systems. "The army's positions near Illinka were subject to artillery strikes, while the positions near Marynivka and Avdiyivka came under mortar fire," he said.